Our holsters for the Taurus 1911 5" non railed stand out from the sea of kydex and stitched leather that overwhelms gun owners looking for a safe holster. There are a lot of options. We know. That's what propels us to make the most technically advanced, well designed and undeniably comfortable holsters possible. How are we different? 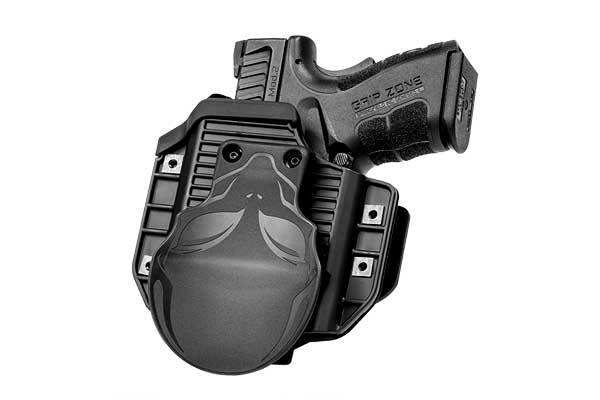 The holsters we make have patented technical advancements that improve the structural integrity, comfort, concealment, reliability and retention in every holster. 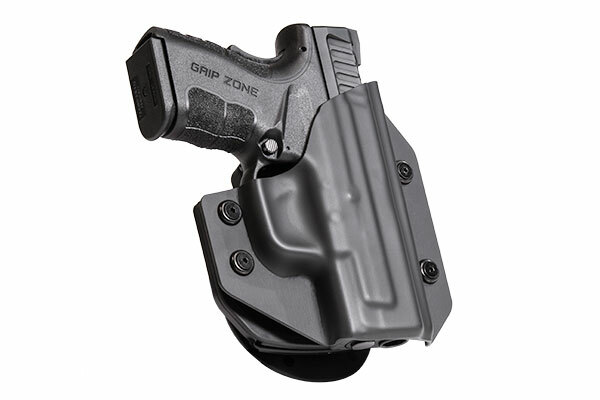 This is seen in the Cloak Tuck 3.0 IWB hybrid holster. It has a backer made (in America, like all our equipment) with four materials: neoprene, ballistic nylon, spring steel and thermoplastic elastomer. The combination of these layers wicks sweat from the handgun, increases the holster's strength, improves retention and adds a remarkable amount of resilience. The shell and clips on the Cloak Tuck 3.0 may be altered for a customized retention, cant and ride height. Adjustable cant and passive retention are reflected in the Cloak Mod OWB paddle holster, a modular holster that faced rigorous research and prototyping. Its paddle clip has an added retention lip to keep it secured to the waistline, warding against being forcibly disarmed. That paddle clip, however, can be replaced by an included belt slide attachment. 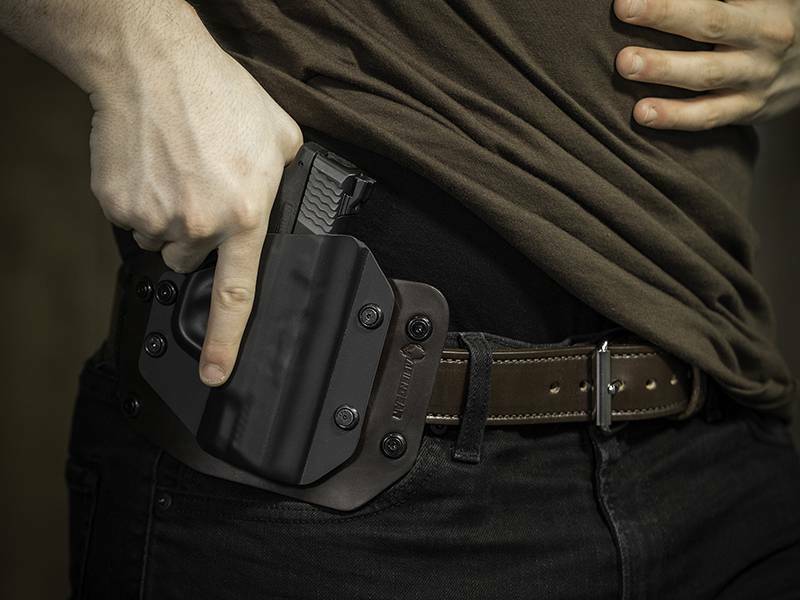 Cloak Mag Carriers can be paired with any of these Taurus 1911 5 inch non-railed holsters for a tactical advantage: spare ammunition carried inside the waistband or outside the waistband. These mag carriers are offered in single and double configurations. There are two leather holsters we make as well — a callback to one of the most classic methods to carry a handgun. 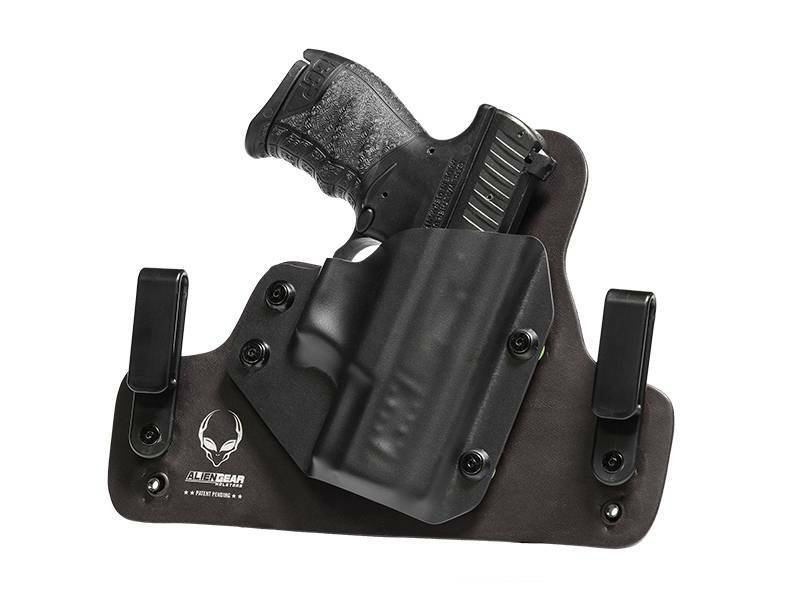 The Cloak Slide is an OWB belt slide holster, and the original Cloak Tuck is an IWB holster. Each holster has a leather backer. Each backer has a molded boltaron shell. Each molded boltaron shell has four retention points that can be tightened or loosened. Every Alien Gear holster is made in America. We couple that with what we call an Iron Clad Guarantee. That Iron Clad Guarantee is our way of showing our customers that we care about them after the sale. It includes a Forever Warranty, free shell trades for life and 30-day test drive. There may be numerous options for Taurus non-railed 1911 holsters, but ours aren't designed to outperform. No, that's just a byproduct of their intended purpose: to respond to your individual carry style and body type with a competent, comfortable holster that's made in America.